For the first time, Rembrandt’s biblical paintings and sketches are brought together from museums and exhibitions around the world . They are curated and creatively contextualized by master teacher Dr. Bryna Jocheved Levy. 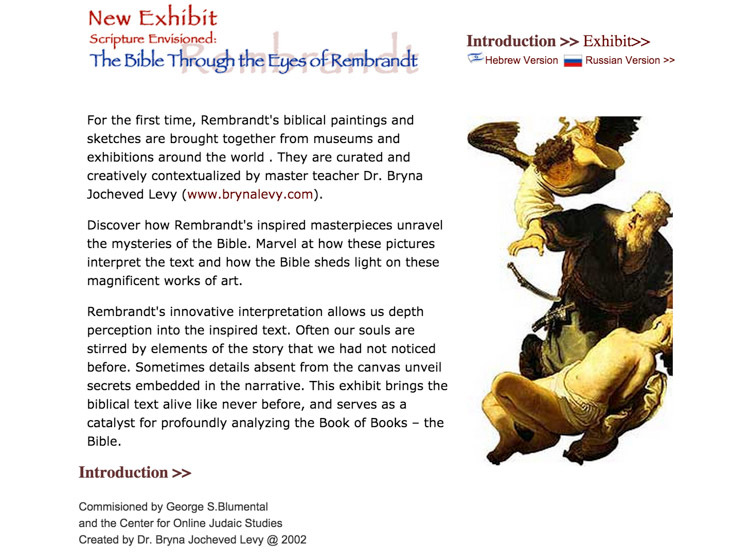 Discover how Rembrandt’s inspired masterpieces unravel the mysteries of the Old Testament. Marvel at how these pictures interpret the text and how the Bible sheds light on these magnificent works of art. Also available in Hebrew and Russian.